The newly announced Bluesound Gen 2i line of products will use the latest BluOS 3.0 operating system, which will feature streaming service integration and Amazon Alexa support. The new Bluesound Gen 2i line of products features a range of seven models that cost between $299 to $1,199. Updating its popular line of wireless whole-house audio products, the new Bluesound Gen 2i series of components incorporate a range of user-friendly features. 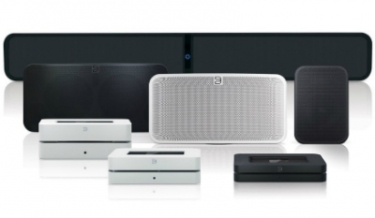 Bluesound's generation Gen2i products build upon the performance of the previous generations by including technologies such as dual-band Wi-Fi, Apple AirPlay2 wireless streaming, new Bluetooth formats, and updates to the products amplifiers and acoustical designs. "Ever since Bluesound's exciting debut five years ago, we have listened to the marketplace and worked hard to make significant improvements throughout the line," notes Matt Simmonds, product manager, Bluesound. "Gen 2i represents another leap forward with major technological enhancements that make this generation of Bluesound products even more compelling. Best of all, Gen 2i is compatible with existing Bluesound systems." At the heart of the Bluesound product line is Lenbrook's BluOS operating system. Bluesound states that integrators and their clients can look forward to a new BluOS update for new and existing systems providing everyone with the 3.0 operating system. The update features access to streaming services such as SOUNDMACHINE, as well as an improved setup guide, and infrastructure to support Amazon Alexa voice control. Bluesound says that users that employ Apple AirPlay2 can stream audio from their iOS devices and Mac computers to any Bluesound component. Using AirPlay2 also enables users to employ Apple's Siri voice control platform to play music in specific zones or to control the volume, among other options. The Gen 2i series' inclusion of two-way Bluetooth allows homeowners to wirelessly stream to Bluesound products, and use their Gen 2i products as a source to stream to products like Bluetooth headphones. The only exception is the Bluesound PULSE FLEX 2i, which only supports the more traditional Bluetooth receive function. The product line also supports the aptX HD Bluetooth format due to the use of Qualcomm's CSR8675 chip. Bluesound says the aptX HD is capable of handling 24-bit high-resolution content and it has been engineered to lower background noise to produce a better listening experience for consumers. In addition, the products incorporate dual-band 802.11ac wireless networking capabilities to run on the 5GHz spectrum offering faster connectivity and fewer network interruptions. Internally, updates include newly redesigned digital amplifiers in the PULSE 2i and PULSE MINI 2i. The products also feature DSP-based settings such as wide mode, late night, and dialog, along with the functionality to run in pairs as stereo speakers. Bluesound adds the PULSE Sub remains unchanged, and the products are available in a choice of either black or white finishes.